Chocolate Grey Alcaraz Glazed 3L Three elevated clear central lights. Three elevated clear central lights. 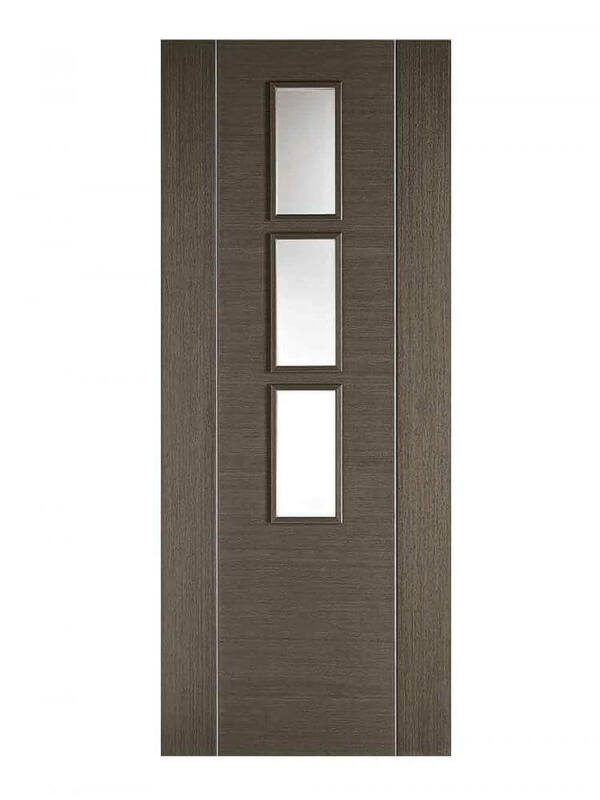 Flush, sleek horizontal grained central panel, vertical accented border panels. Chocolate Grey Alcaraz Glazed 3L. Three elevated clear glazed panels flanked by decorative vertical bars. Pre-finished Chocolate Grey wood grain. 3 Lights With Clear Glass.